Christmas Wine Tasting This Saturday! … need something to cheer those winter blues? Join us for our Xmas Wine Tasting this Saturday afternoon!! Saturday 1st December. 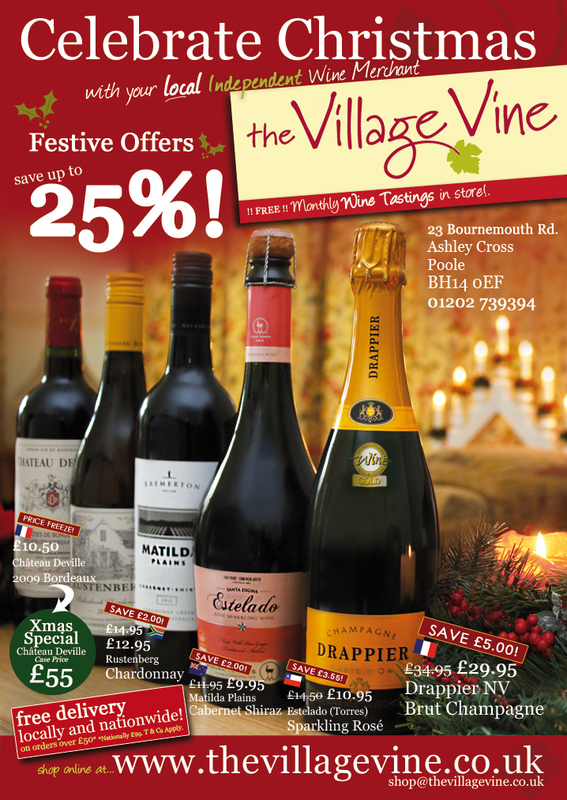 We’ve selected 5 super wines, mostly from our Xmas Offers range. Kicking things off with a lovely pink (Champagne method) sparkler from Italy, a white, two reds and ending with a super value dessert wine from Oz. Don’t forget to check out all our great festive bargains… some may not last too long so don’t leave it too late…! Just a note to those of you who run their own business or are involved with corporate accounts, etc. We have a comprehensive range of attractive wine giftboxes in various sizes that we can send locally or nationwide to your clients. Do look in our online shop or please enquire for any further info. Remember, in order to spread the wines evenly, they are limited to 2 bottles (of each) max. purchase on the day, but of course will be available (in varying quantity) thereafter. As usual we’ll kick-off around 2pm and end up at 7pm. It’s a ‘free, walk-in’ tasting and a good chance to sample something ‘new’, or perhaps a bit different from your normal choice. Anyhow, very much hope you can join us on Saturday, if not, pop in soon and see our excellent range. (Including the best range of Local Beers + Cider and premium Spirits & Liqueurs!). Plus, lots of gift ideas for Christmas – don’t forget our fantastic range of giftboxes! We offer national delivery at competitive rates on everything! Best wishes from Nic & The Team.